It is only appropriate that this 1990s comedy about struggles at a late-night talk show should come out in a complete set in 2010, the year of Team Coco and the implosion of NBC's late night lineup. The ultimate TV show about TV, this HBO series starred Garry Shandling as the title host  a funny, and hilariously insecure, late-night comic  and detailed the daily crises among his staff. (Standout performances also included Jeffrey Tambor as his ambitious sidekick and Rip Torn as his cunning producer.) 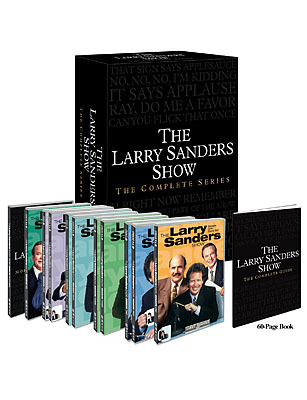 From celebrity bookings to network battles, Larry Sanders skewered the absurdity and paranoia of Hollywood as few shows before or since.